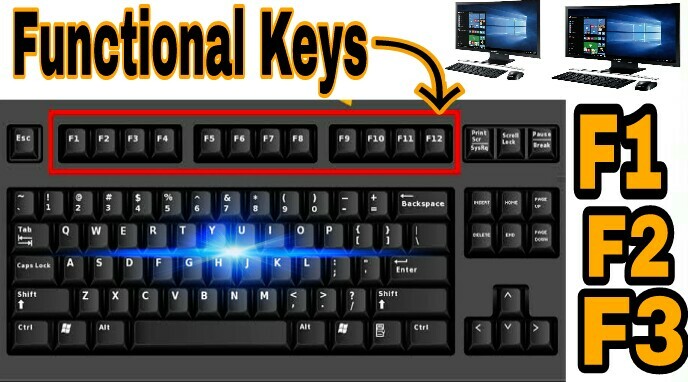 F1 to F12 tak ki keys ko functional keys kahte hai, Agar Apko Computer me interest hai toh apko functional keys ki knowledge bhi honi chaiye. Kyu ki functional Keys bhout helpful keys hai, ye functional keys hamare work ko easy banane me helpful hoti hai. 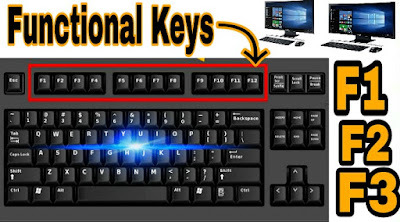 Ye Functional keys har Windows me Supported hai chahe woh Window 7 ho ya Window 8 ya Window 10 ho,These are also Laptop Function keys, aur ye har Computer System me same hi rahti hai.